Cannon Hunt checked all the boxes to be a superstar. The silver screen is my life, and this time, the director’s chair is mine. So only serious actors need apply. I’m making a gritty war film, not a sappy romcom. Cannon is the last person I want to cast in my movie or my life. And his eyes? Don’t get me started on his dark, take-me-now eyes. He’s the studio’s pick for leading man. And I can never admit the truth: I don’t want to escape. One touch could bring down my entire career. 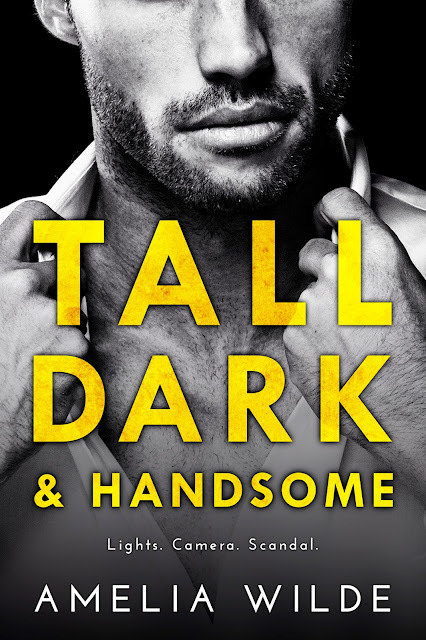 Tall, Dark & Handsome by Amelia Wilde is written well and the story line interesting. Polar opposites, Cannon and Juno aren't supposed to hit it off however, at times they do. I enjoyed Cannon a whole lot more than Juno but did like both of them. Its a steamy and cute read that brings them together and I'm not disappointed.